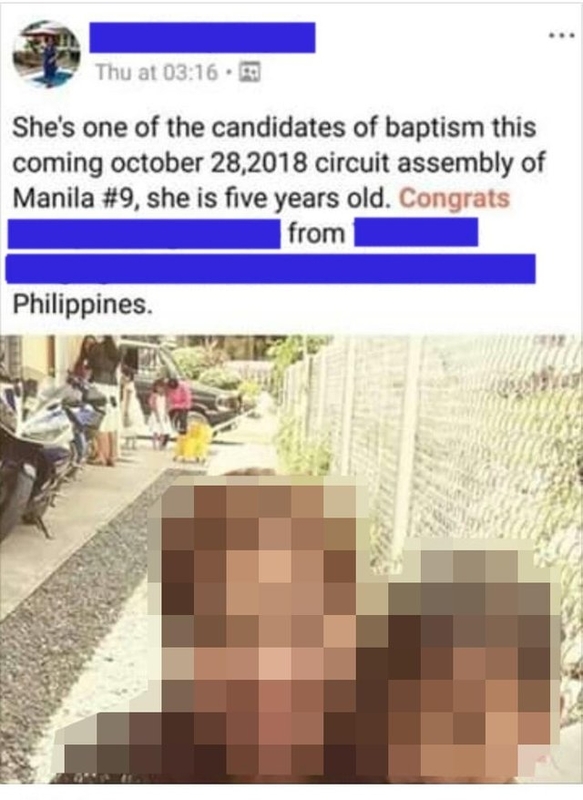 Wow, 5 years old, never heard about someone getting baptized that age in the JWs organization before. and they can get baptised from age of 5. How desperate the GB / JW Org is getting, and how competitive it must be getting for parents. Yep. We're really desperate, and competitive. All losers excluded!!! Oh look!!! Those silly disciples are still at it! "People now began bringing him young children for him to touch them, but the disciples reprimanded them. At seeing this, Jesus was indignant and said to them: “Let the young children come to me; do not try to stop them, for the Kingdom of God belongs to such ones. Truly I say to you, whoever does not receive the Kingdom of God like a young child will by no means enter into it.” And he took the children into his arms and began blessing them, laying his hands on them." So equating coming to Jesus to be blessed with baptism is how you justify this practice? Reread the scripture you quoted, it states NOTHING about baptizing. This is the classic example of where the wt has trained it's followers to use scripture out of context just as they do. It would be so lovely if it were possible to know how many JW's are under 16 years old. And here in the UK it seems very difficult to get young men to take on any responsibility in the Org. There will probably be a shortage of Elders and M/s soon. In fact i know of one congregation where a brother does the work of 3 because of lack of m/s or elders to help out. I am finding it a real pain not being able to give facts on here, but I don't want to get other people into trouble with their bosses / elders. People now began bringing him young children for him to touch them, but the disciples reprimanded them. to touch them.... well, text speaking about touching children for blessings, not baptizing children. dear Outta Here, wrong interpretation and misapplication of bible text, for sure. Rubbish! You're outside the camp, under reprimand.....accept it! Oh come on please. How does this observation of the obvious show any kind of insight? They are just like you surely? Start off for whatever reasons, then fizzle out for whatever reasons. Just as the apostle John stated centuries ago. That would be interesting indeed. 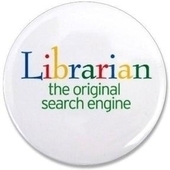 But not readily available. Maybe we can get at least something from the 2014 analysis someone did in USA? (I know you have some geographical partialities..............). 2014 was a long time ago regarding the Child Abuse issues. It has become mainstream news now so the Gb and it's Org lost that battle to keep it all secret. Hence a lot more people over 16 or 18 would have left the Org by now. And been replaced by 3 and 5 years olds it seems. Until last year I never really thought about how they count the amount of JW's in the Org. I just thought they kept numbers of all those that are baptised. However I read online somewhere that a 'prominent' JW said that the number of JW's is counted by the number of monthly reports going in. He said it was more important to count 'active' members than baptised members. Can't remember who said it as it wasn't important to me at the time. But now seeing all this about 3 and 5 years olds it does make me think how desperate the GB and the Org are. By the way, Srecko is right you completely miss the meaning of the scripture you used. The scripture is talking about adults lowering their pride and becoming like children. Jesus was usingthe young children as showing humility. But i don't expect you to understand that. @Outta Here said "Rubbish! You're outside the camp, under reprimand.....accept it!" Wow see the humility there NO................... Who is Srecko supposed to be 'under reprimand' by ? You see Outta Here, all that shows is you worship of the GB and it's JW Org. I see no signs that Srecko is not still a worshipper of God, therefore God, through Jesus Christ is judge, not you Outta Here. Quote @Outta Here "Oh come on please. How does this observation of the obvious show any kind of insight? They are just like you surely? Start off for whatever reasons, then fizzle out for whatever reasons. Just as the apostle John stated centuries ago." Well no actually. 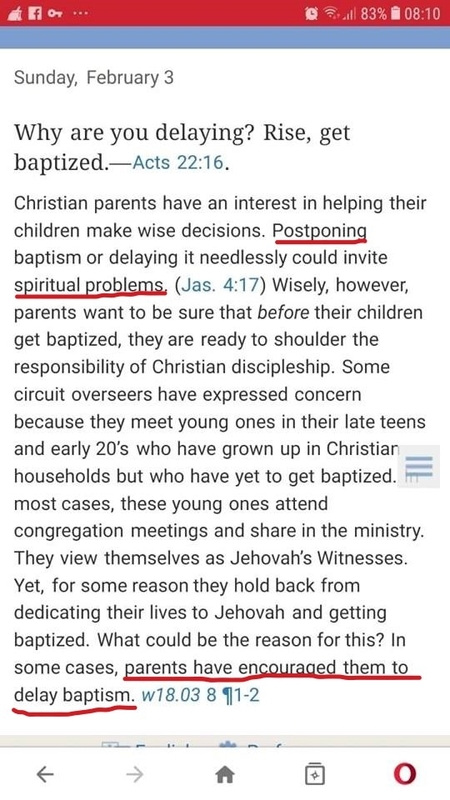 Children born into JW families are forced to go to meetings and to 'pre-study' etc. It is difficult for parents and for the children. Meetings have gradually got shorter so it gets a bit easier of course. But assemblies are chaos, for parents and children alike. Please remember I had years in the JW Org, so I talk from some experience. Experience of seeing other parents struggling with children and having done so myself, with two families.... And having seen many teenagers leave the Org as soon as they were able. Which excludes your assessment no doubt. Apart from the obvious Scriptural reprimand, there are admissions I have just noted to being an ex JW in Sreko Sostar postings which constitute the same. Of course you do. And your reaction to that experience is that you are now (happily I presume) an ex JW along with those others you refer to. Just as John said. I can't understand why you just can't seem to go on and enjoy your independent life along with those others. Anyway, pardon me for turning to other topics for now. You are not up to date in your sources of intelligence, John. Currently, all married sisters are required via “mind control” to visit their doctors each month. The moment a pregnancy is detected, the unborn is counted as a member. The mother is forced to study with her child and MUST shake her belly every 10 minutes to ensure that it does not nod off. Come, come, John. Around ten is the age that ones may present themselves for baptism, and mid-teens is more typical. Participation in the ministry can start earlier. However﻿ I read online﻿ somewhere that a 'prominent' JW said that the number of JW's is﻿ counted by the number of monthly reports going in. You could have just asked the Witness sitting next to you at your last meeting. Everyone knows this. How many Witnesses there are depends on how you count. Should one count all those who are baptized? Meeting attenders? Memorial attenders? Witness HQ counts it by the number who are doing what the name says. How many are ‘witnessing’ for Jehovah? That will be revealed in how many report field service. There is absolutely no incentive to ‘pump up the numbers,’ as you suggest. It would even be counterproductive to do so. And unnecessary. If the GB is as underhanded as you say, they could just double or treble the existing numbers, and order through “thought control” anybody who knows of it not to spill the beans. Number theology have two side. First - number of members must be small, because that proves Bible words how very few will find The Truth. Second - number of members have to go up, to be bigger and bigger, because that proves how God giving His blessings on Church. @TrueTomHarley You know you may even be a good author, it's the way you twist things and use sarcasm to try to hide the truth. Are you calling Queen Esther a liar ? And Jack also ? Isn't the proof being put in front of your own eyes ? But, there is none so blind as those that do not want to see. Keep selling your books Tom it's all you are really interested in anyway. Quote : Come, come, John. Around ten is the age that ones may present themselves for baptism, and mid-teens is more typical. Participation in the ministry can start earlier. You have therefore confirmed what i said. Under 10 year olds can have a Field Service Report put in by their parents and it will be counted. And they start at 3 years old Tom. It's not about 'pumping up the numbers' Tom, it's about trying to hide how many are leaving the JW Org. Replacing the number of adults in the Org with children, by counting the children as proper JW's, and people outside will not know the difference. It's about 'show' Tom, and you know it. It's all a front. Pretending the JW Org is clean and pretending the JW Org has a healthy number of members. But it only works to fool those in the world that do not understand how bad the JW Org really is.